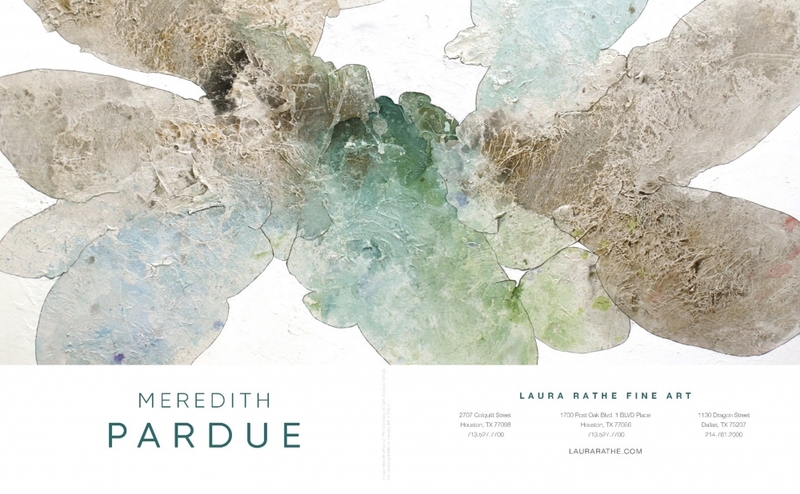 Laura Rathe Fine Art, is pleased to announce an exhibition of new, abstract paintings by Meredith Pardue, Songs Unsung, with an opening reception on Saturday, April 7th, 2018 from 6 - 9pm at 2707 Colquitt Street. A symphony of color and energy, Meredith Pardue’s work considers the physical properties of the world around us in a conceptual exploration of the elements that surround us, within and without. Painting the grossest and densest forms found in the depths of the earth to the most ethereal components of existence, Pardue’s manifestations are pure energy and consciousness unfolding onto a canvas. Pardue investigates the theme of life’s cycles with a vibrant approach. A response to the passage of time, each canvas holds lyrical forms and colors that blend to make up a cohesive timeline. Each enclosure anchors itself to a process in time, holding within itself the experiences in nature’s endless cycles of growth and decay. This landscape of time is composed of controlled and intuitive markings that begin to form disrupted narratives but collectively form a spontaneous creation, a song of unity. Pardue creates an aesthetic that emphasizes both the form and the formless. The paradoxical focus on emptiness and absence creates a visually striking yet meditative canvas. Balance is found between the negative spaces and forms —the negative space enhances the aesthetic of the composition, while the form highlights the negative space. Pardue reminds the viewer that there are always two processes happening within any event, creation and destruction, and it is within our humanness to explore and play with all the possibilities to create a harmonious environment. Songs Unsung will be on view through May 12, 2018. Before there were many, there was one. It was April, or was it May when the rain so wild and free washed over me like love in the heart of an Indian summer? Collisions of shadows and light whispered of gardens in the darkness, breathing in midnight on the shores of Mexico. Or the Pacific maybe. The farewell of the setting sun was as light as my heart. But that was when green was gold, and fields of lavender and poppies grew wild. Now the emerald hills of Texas hold my splintered gaze, westward. Remembering. Songs unsung, pages unturned. Glass unshattered. And still there is one.